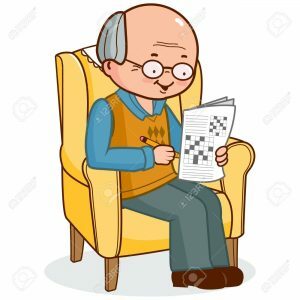 There are a few days in the year when I go totally bonkers in the mornings without my daily dose of newspapers and crossword puzzles contained in them. Yesterday being our Republic Day, was a national holiday and sans newspapers today. I would have climbed the walls had I not remembered the gift that my friend had given me some months ago. Just to refresh your memory dear reader, I wrote about it here. When some friends and one cousin rang up to pass time and I mentioned this frustration, without exception all of them confessed having missed the morning newspapers, particularly since it is a Sunday too when all of them contain magazine sections. So, though I missed the news, I don’t watch television even in the absence of news papers, I was able to solve some puzzles in the book and was not quite as frustrated as I would have been had I not remembered the book. This entry was posted in Friendship, Gratitude, Writing and tagged Crossword puzzles, Indian Republic Day, News papers, Wikipedia. Bookmark the permalink. I’ve given up newspapers (newsfeeds suffice), but I understand the bonkers thing as I play 14 games of online Scrabble every day which soothes the crossword jonesing and teaches me new words, etc. We are kindred souls WWW! If not one, another kind of daily poison!! Our local newspaper doesn’t have much in it and we haven’t subscribed in years. We subscribed at to the statewide newspaper at one time, but for the cost and what little we got out of it, we weren’t very satisfied. Most locals have gone out of business in the US as have many of the large ones. The news paper and news magazine businesses in India are flourishing and are mostly platforms for advertising which enables them to price the product low to lure customers. Comic strips, cartoons, sudoku, crossword puzzles etc add to the lure and get people like me addicted to them! It’s a long w/end here as well, each region in NZ, has an anniversary day (they vary where you are) – Auckland is celebrating ours this w/end (it’s now late evening/Monday) – I didn’t partake of any of the events although I did go into the City on a short mission… But the newspapers carry on publishing, possibly not as much in them, but the news must go on! Please see my response to Mike. I completely understand. While I don’t do puzzles (or even read the articles) in our morning paper, I do love the comics. I know they are juvenile, and sometimes not even very funny, but I enjoy that morning chuckle with my coffee. I think having that jumbo print puzzle book is a boon! The boon came very handy indeed! Now I read most of the news online but sometimes I miss newspapers (the smell and the feel of the whole experience); however the online version is more hygienic lol. Due to my job I have to be constantly on the loop, so when I don’t read the news, it’s a mess; luckily, there’s only one day when I don’t read them (it’s on the Shabbat) and nothing much happens that way anyway…Terrorists rarely attack on Saturday lol (blessed their wicked hearts *tongue in cheek*). Frustration…I deal well with it. I had to learn how to. I should have mentioned the smell and feel of the newspapers. Nothing quite like that in the mornings! I signed up for a thing ca;;ed “Chemo Angels” and throughout my chemotherapy, a woman who’d been through it herself sent little gifts, including a huge book of puzzles. My husband immediately took it over and he’s still working his way through them. Contrary to my first impressions, the book contains puzzles that are very challenging and I too am plodding through it. I’ve been away on holiday for most of January and didn’t miss the newspapers and news bulletins at all. I prefer reading anyway, and I managed to make steady progress through some very fat books! I envy you! I did notice the lack of posts in your blog and concluded that you must be on vacation. Big John recently posted..“It’s the thought that counts” ! All employees of all newspapers here benefit from the public holidays, and so all of them including the delivery boy are lazy buggers indeed!